Home PublicationsCommentary	Why is Federal Government Data Disappearing? 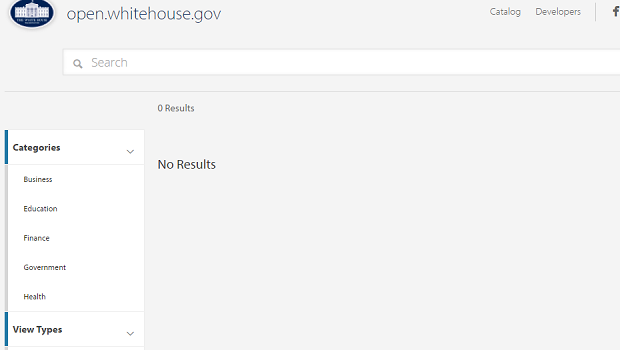 The White House recently deleted all of the data on its open data portal, which served as a public clearinghouse for data on everything from federal budgets to climate change initiatives. This is a red flag, since for eight years, the Obama White House championed the practice of making government data freely available to the public in order to promote transparency and accountability, to serve as a resource for researchers, and to allow innovators to create new tools and services that spur economic activity and solve social problems.